Sarah Jeane is a spiritual counselor healer, angelic channel, spiritual teacher, inspirational speaker, author, visionary artist and graphic artist, illustrator and art director. Sarah Jeane communes and works with Angelic Beings, Masters of Light, and Nature’s Intelligence. She expresses “Light, the Sanctity of Life” in all that she creates to bring forward messages of peace and love to all beings and our world. She has been embraced by the Light and guided by Luminous Angelic Beings into higher dimensional realms of consciousness to receive instant healing and messages of Peace and Love to convey to the world. I am so honored that my friend Linda Mackenzie has invited me as a guest at her radio show February 28, to speak about angelic channeling, spirituality, and energy healing. 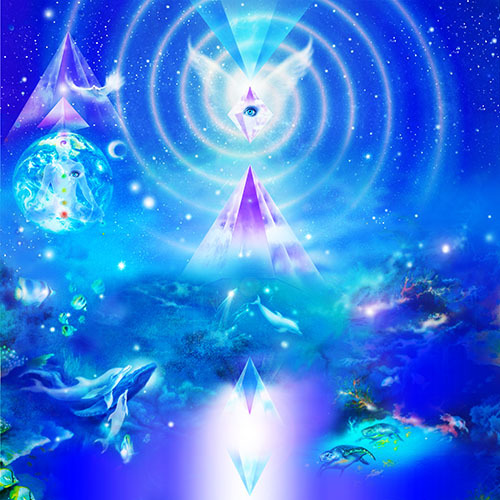 The messages from the Angels will be conveyed from within a sacred space with specific insights of peace and love to enlighten our day and path with harmony. Every week join Linda for a fun, informative, and entertaining ride navigating natural health and spirit. Known as ‘Everybody’s Friend’ listeners can call into her show from 8:30-9:00 am PT to get answers to their questions on 800-555-5453 or 310-371-5444. Mackenzie is an award-winning multi-book author and audio/video producer which includes the documentary short ‘Many Faces of Psychic Ability.’ As a world renown God-based Psychic, Doctoral Clinical Hypnotherapist Candidate and popular lecturer and workshop leader, she has gained national recognition and many awards for her work- including Who’s Who, Who’s Who International, Who’s Who of American Women; Who’s Who of Medicine and Healthcare and more. She was recipient of the True Human Being Award; Int’l Clinical Hypnotherapist Assn’s Certificate of Appreciation for Furthering the Profession and ABI’s Great Women of the 21st Century-Radio Broadcasting. We are looking forward to share that special uplifting time with you, February 28 at 8:00 AM.